Ulfketill and Gýi and Uni/Unni, they had this stone raised in memory of Ulfr, their good father. He lived in Skolhamarr. May God and God's mother help his spirit and soul; grant him light and paradise. 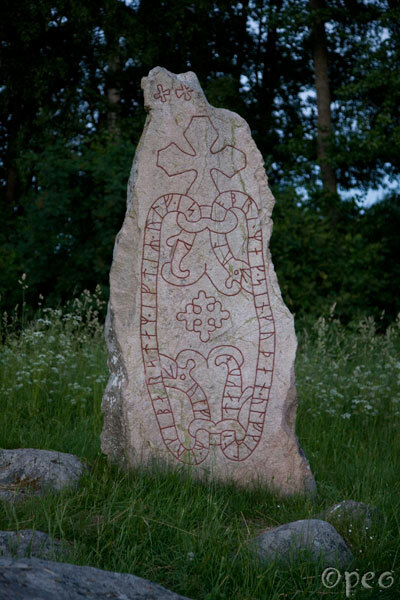 Two beautiful and well preserved rune stones. 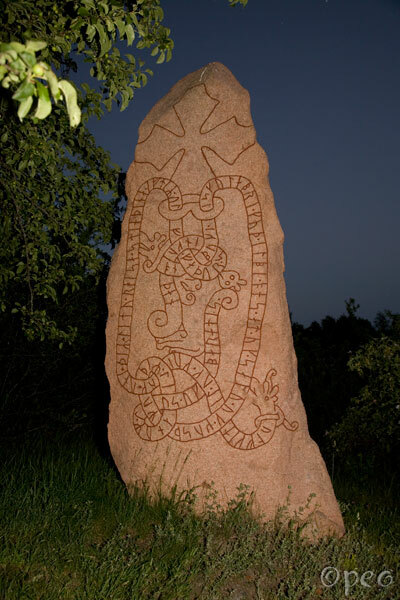 Ulfr of Báristaðir cut (the stone) in memory of Ulfr in Skolhamarr, his good kinsman-by-marriage. Ulfkell had (it) cut.